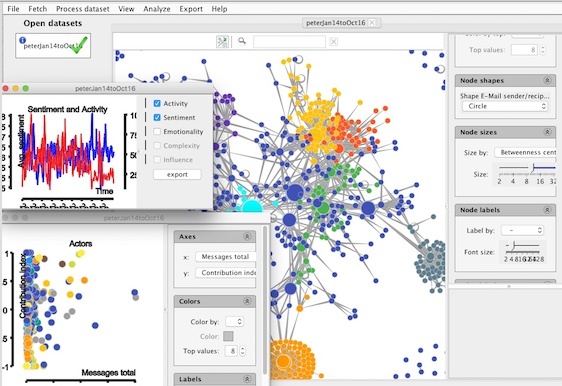 Condor computes and visualizes the structure of social communication networks by automatically generating interactive movies of communication flows. For academic use only. Please, drop us a line if you plan to use it. © 2013-2014 ICKN - MIT Center for Collective Intelligence - 5 Cambridge Center - Cambridge, MA.